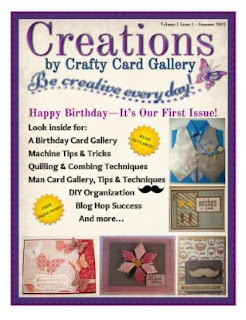 Congratulations to Jennifer Restivo on the publication today of her new online magazine, "Creations by Crafty Card Gallery." I'm pleased to have participated in the magazine as a contributor and featured cardmaker (see pages 30-32). 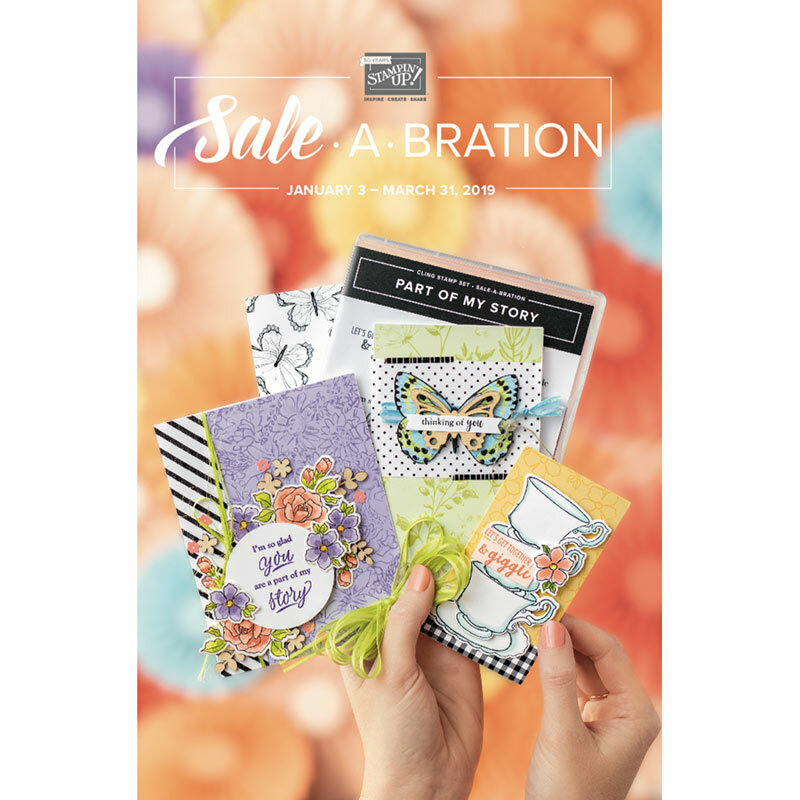 Inside the magazine are 60 pages with 11 great articles, more than 40 featured cards, links to download four free digital images, and coupon codes for 4 of the magazine's sponsors. To purchase the magazine, CLICK HERE to be taken to the ordering site for HP MagCloud (publishers). It is $2.99 for the digital version or $12.00 for both a print version and the digital version. 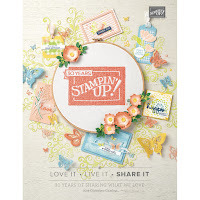 In honor of the launch of Creations by Crafty Card Gallery, there's a huge giveaway. To enter the giveaway, go to Crafty Card Galley (click HERE) for the Rafflecopter entry form. Thanks for being part of our first issue! And thanks for sharing! I just got done looking at my issue of this magazine . . . LOVE YOUR PROJECT!!!! !